Today I want to share with you something really different. 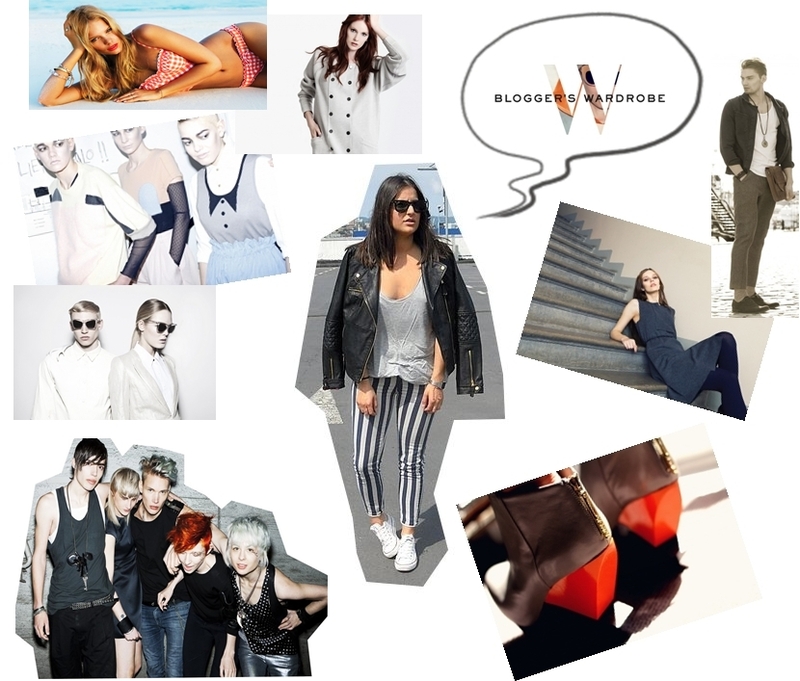 Yesterday I was surfing the Internet when I stumbled with a great website: ''Blogger's Wardrobe''. For all of you who doesn't know what is it, they are an online community that choose some fantastic brands and bloggers of the world to associate with their site. It is the first web shop where all items are free for those that are invited. I'm not really interested in these kind of things, but this includes two of my big passions in life: fashion and blogging, so I told myself, why not try it? I encourage all of you to check out them site, where you can find great bloggers, with awesome different styles, and them fantastic brands, like, Seafolly, Electrolux, Maska, Minimarket and so on. (You can see some of them in the pics). What I really love the most is that they're so varied, elegant, simple and they have such a good quality. And what is more, you can also now join this community, every blogger can! What are you waiting for? It's worth it! GREAT POST & THANKS FOR SHARING!!! This is great!I dind't know nothing about this!I'll check out the website now!Thankssss! Great idea, I had never heard about this. this sounds great. definitely have to check out the site. es un post genial guapa! !=) un besazo grande! I just clicked over! Interesting concept..I can't wait to check this out in its entirety tonight. Love love love! super cool stripe pants too! Beetle Juice! come check out our new post too! Aw wow, this is such a great idea and good concept to unite fashion bloggers from around the world! P.S I linked you in my post, hope thats okay? sounds like such a cool site...I'll have to check it out. ya he intentado lo que me has dicho corazon, cualquier cosa ya sabes! ;) muaaa! You look absolutely amazing! I love those pants! Un gran collage, me encanta! !